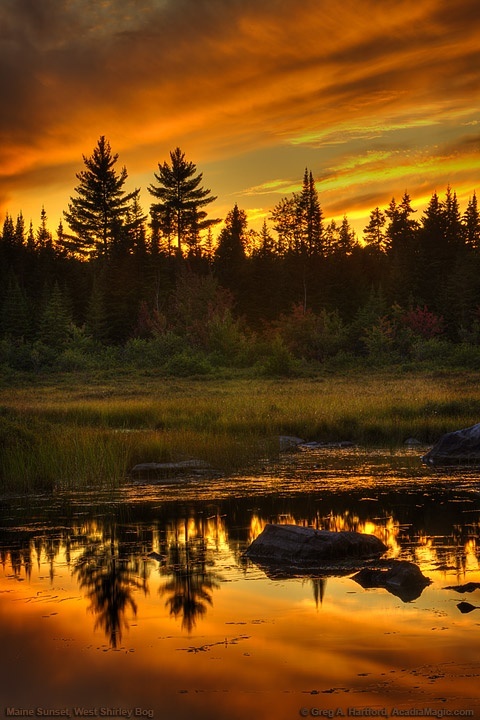 Maine is a state in the New England region of the northeastern United States, bordered by the Atlantic Ocean to the east and south, New Hampshire to the west, and the Canadian provinces of Quebec to the northwest and New Brunswick to the northeast. Maine is both the northernmost and easternmost portion of New England. It is known for its scenery—its jagged, mostly rocky coastline, its low, rolling mountains, its heavily forested interior and picturesque waterways—as well as for its seafood cuisine, especially lobsters and clams.